2011 two CD live album from the American singer/songwriter. 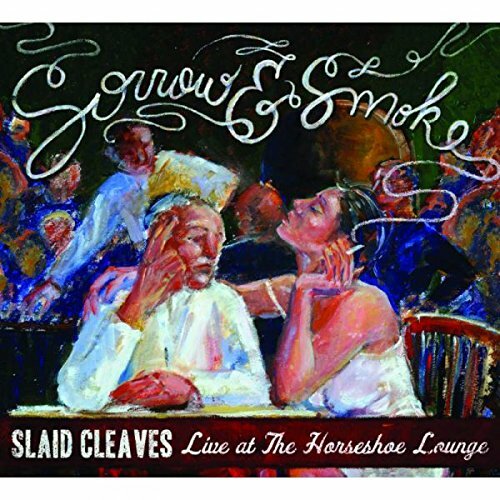 When Slaid Cleaves moved from Portland, Maine, to Austin, Texas, at the tail end of 1991, he landed on South Lamar Boulevard, a few blocks from the legendarily seedy Horseshoe Lounge. But as he points out on his new live album, ''It was many years of drivin' by before I worked up the courage to come in through the door.'' And now, 20 years after his Southwest migration, he's releasing his first live album, Sorrow & Smoke: Live At The Horseshoe Lounge. The album fully conveys the spirit of an intimate yet jovial crowd: Clinking beer bottles. Laughter. Sing-alongs. Good-natured heckling. If you have any questions about this product by Candy House Media, contact us by completing and submitting the form below. If you are looking for a specif part number, please include it with your message.